Ahead of the festive season, TECNO Mobile has shared a teaser video unveiling its plans to come up with their new series of smartphones with their brand campaign 'Har Soorat Khoobsurat' 2.0. 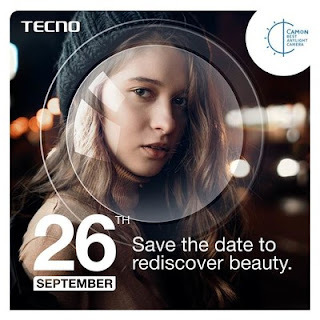 The teaser campaign also makes it evident that these smartphones will focus on superior picture quality, as camera-centricity is the DNA of brand. Staying true to its legacy of attractive smartphone design and beautifully lit full-view display, the new range of smartphones will feature a 19:9 Super Full View notch display. The upcoming CAMON series will see four new smartphones equipped with AI-powered front cameras and dual rear lens capabilities in the price segment of 8-14K. CAMON portfolio is currently 7 SKU strong with smartphones available across price-points between 6-14K. All TECNO products come with 3-in-1 multi card slot where you can put Dual Nano SIM along with a SD card and a '111' brand promise of TECNO. Any consumer who buys TECNO smartphones gets an advantage of one time screen replacement in one year, 100 days' free replacement, and 1-month extended warranty.